Scientists working in many sectors, disciplines, countries and languages use different types of data about drugs and diseases for their research. Discoverability is a perpetual challenge. To make it easier for researchers everywhere to find the information they need, data scientists use ontologies to define and classify terms, concepts and relationships. Ontologies also make it possible to link relevant datasets, even if they were produced in entirely different fields. That’s good for data integration, and for serendipitous discovery. EMBL-EBI’s Samples, Phenotypes and Ontologies team is in high demand, working on integration projects like Open Targets and BioSamples to make molecular data Findable, Accessible, Interoperable and Reusable (FAIR). 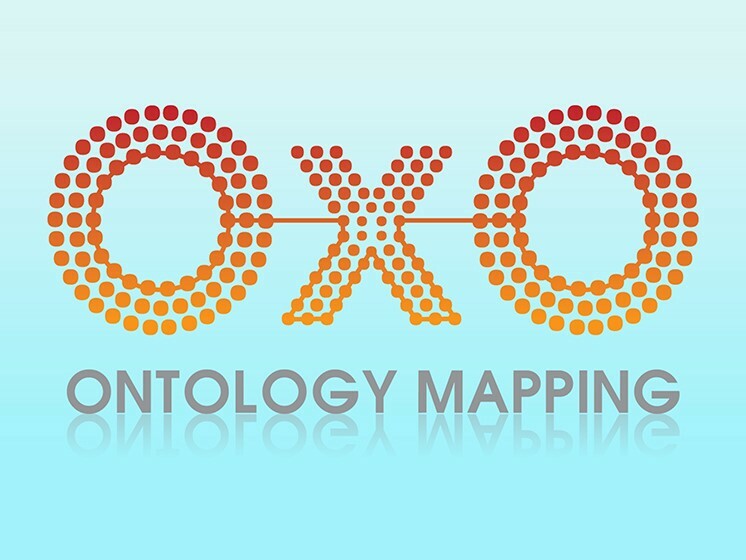 Its latest collaboration, the Ontology Xref Service (OxO), aims to help users map ontologies to one another. The FAIR data movement aims to make research data Findable, Accessible, Interoperable and Re-usable. It has gained momentum in the life sciences, where hundreds of thousands of scientists throughout the world are generating diverse datasets of all sizes. FAIR data articulates the central needs of data-driven research, as access to accurate, up-to-date information is required to formulate plausible hypotheses. Ontologies are formal collections of terms, structured in a hierarchy to represent knowledge. That might be about, for example, symptoms, treatments or dosages. Ontologies allow you to be more precise in the way you annotate (label) data, which makes it easier for you to exploit it and combine it with knowledge from very different domains. That opens up new possibilities for analysing and visualising large datasets. Ontologies resolve ambiguities, for instance when many datasets are pulled together from different sources but each one has a different heading for ‘disease symptoms’. Using ontologies relates all those different headings to one another. Ontologies are the touchstone of data integration, and there are many of them in biomedical research. EMBL-EBI is on a mission to make biological data discoverable and available to scientists everywhere – and ontologies are the common thread running through this work. The Pistoia Alliance is collaborating with EMBL-EBI on OxO, a prototype data service, to help companies map their own ontologies with those in the public domain. The OxO makes it easier to discover ‘cross-ontology mappings’, which make it possible to combine datasets that are labelled in different ways. Even if different standards are used to annotate datasets, they can still be made interoperable through ontology mapping. Companies can use the public-domain ontology mappings in OxO to bridge the gap between public and private research data. The Pistoia Alliance, a not-for-profit alliance of life science companies and academics, aims to lower barriers to innovation – so naturally, EMBL-EBI is a partner. The OxO-Pistoia project is just one Pistoia Alliance collaboration that builds on work carried out by the Parkinson team and others in the Open Targets and CORBEL projects. EMBL-EBI provides tailored support for companies that use public ontology services (https://www.ebi.ac.uk/spot/ontology/) through EMBL’s technology transfer partner, EMBLEM (www.embl-em.de). The Pistoia Alliance is a not-for-profit alliance of life science companies, vendors, publishers, and academic groups that work together to lower barriers to innovation in R&D. Its projects transform R&D innovation through pre-competitive collaboration. It brings together key constituents to identify the root causes that lead to R&D inefficiencies, and develops best practices and technology pilots to overcome common obstacles. Pistoia Alliance members collaborate as equals on open projects that generate significant value for the worldwide life sciences community.